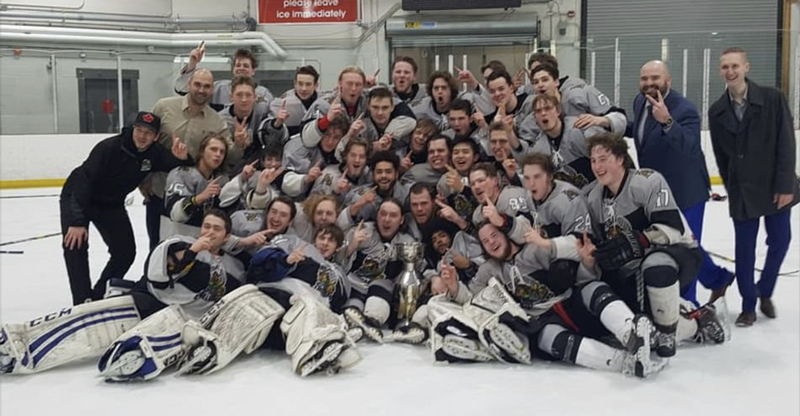 The Essa Stallions have repeated as CPJHL President’s Cup champions. Over the March 16-17 weekend, the Stallions swept the first-year Muskoka Anglers, winning Game 1 in Angus Saturday night 6-1 and then blanking the Anglers 8-0 in Gravenhurst Sunday afternoon. Muskoka eliminated the top-seeded Grey Highlands Hawks in the semifinals, while the Stallions defeated the Maniwaki Mustangs. Saturday night, Tim Holmstrom scored twice, and Ethan James stopped 22 shots in goal. Doug Ledger added a goal and an assist in the win, while Austen Lucas, Parker Stewart and Jared Weatherbee also scored. For the Anglers, Cameron Murray scored, and Ethan Messner turned aside 49 shots between the pipes. In Sunday’s clincher, Holmstrom posted a hat trick and James made 27 saves. Ledger, Jake Mortley, Dylan Beattie and Alex Wahlstrom each registered a goal and an assist. Liam Coleman added a goal, while Samuel Muir and Adam Leavoy each tallied two assists. Messner and Rikshith Chittajallu combined on a 42-save effort in the Muskoka cage. "This is a surreal moment for all of us,” said Stallions GM and assistant coach David Lang. 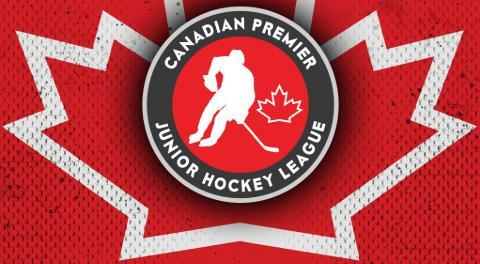 “Players, families, billet families, our scouting staff, coaching staff – all of us. We've been on a roller coaster ride all season. ‘Clouts’ and I implemented a culture that needed 100 percent buy in from all parties involved, and they did just that. This is the result of hard work, never giving up, and completing the task at hand. All very cliche statements, but so very true. 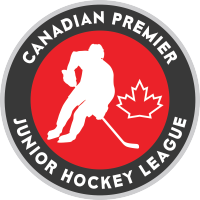 With Cloutier and Lang at the helm over the past two seasons, the Stallions have a combined two CPJHL President’s Cup trophies, a Coach of the Year award (2017-2018), and a record of 88-11 – an outstanding staff accomplishment no matter the league or level.